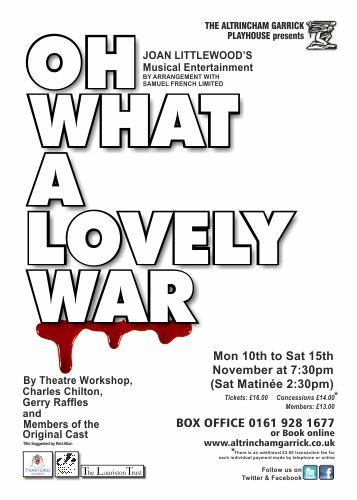 After last week’s SOLD OUT production of ?’The Accrington Pals’ ?in our Lauriston Studio, we are now building up to opening night, on Monday 10th November, of ?’Oh What a Lovely War’ on our Main Stage. New rehearsal photos have just been posted on our website for this production. Once again, please book soon, to make sure of getting the seats you want!